DUBAI, UAE, April 5, 2018: HP will host a three-day gaming extravaganza this week at the Middle East Film and Comic Con (MEFCC) at the PLG Arena 5. The event will be hosted in partnership with the leading Middle East eSports operators, Power League Gaming (PLG). At the event, which takes place April 5-7, HP will showcase its full lineup of OMEN gaming desktops and laptops to provide visitors with the opportunity to immerse themselves in the complete gaming experience, using some of the most in-demand game titles in the market today. During Comic Con, the ever-popular PC game “Overwatch” will be the main highlight at the PLG Arena 5. Participating gamers will have the chance to play in a series of “Kings of the Hill” challenges, which is a 6 vs 6 team battle to determine the best Overwatch team of the day and win exciting prizes. The matches will be broadcast live daily for spectators in the arena. HP is the global technology partner of the Overwatch League and the Overwatch World Cup, which kicked off its first edition last year and fueled competition among the best eSports athletes in the world. 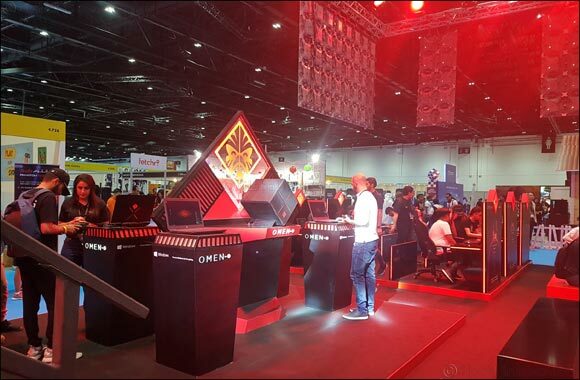 The PLG Arena 5 powered by OMEN by HP at MEFCC 2018 is divided into display and demo zones, where visitors can play the latest gaming titles on OMEN units. Completing the OMEN lineup at the booth is the OMEN Desktop Tower, OMEN 17, OMEN 15 and OMEN X laptops, OMEN gaming monitors and the latest selection of OMEN gaming accessories.